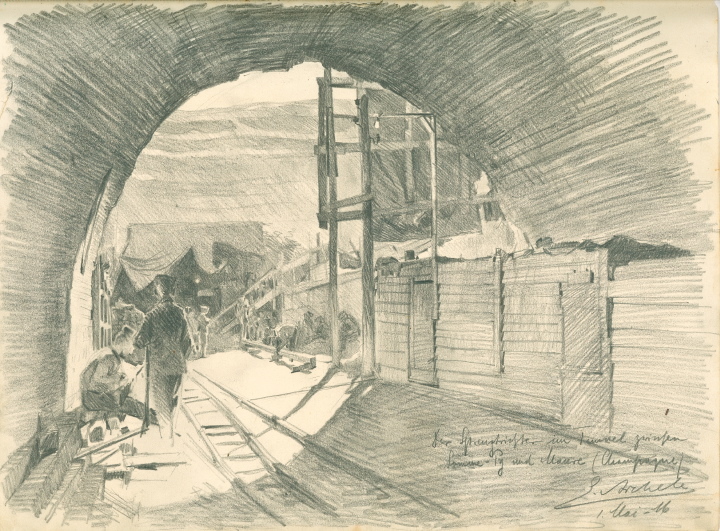 Most of Erwin Aichele’s war drawings were executed in the year 1916 when, as part of the Third Battery FAR 185, he was stationed in Liry in Champagne. 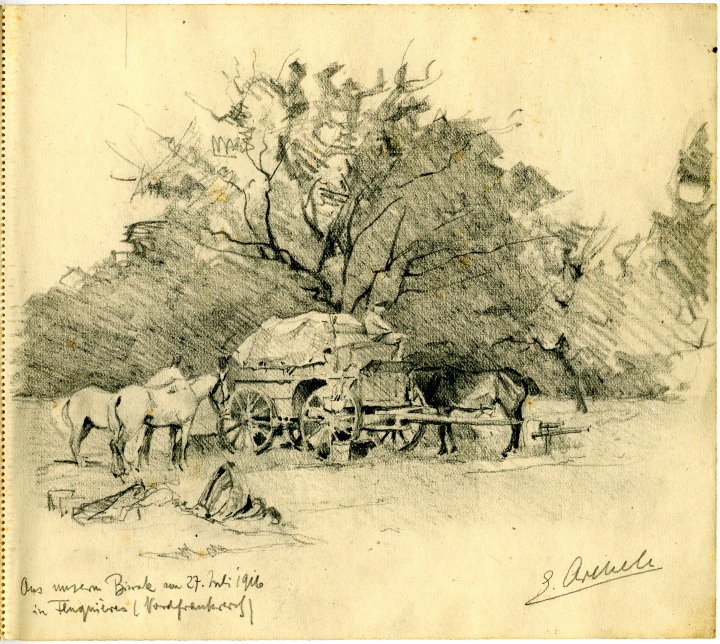 He was part of the communications team but was fortunate that his superior recognised his talent in draughtsmanship and gave him the official function of war artist for a part of his time there. 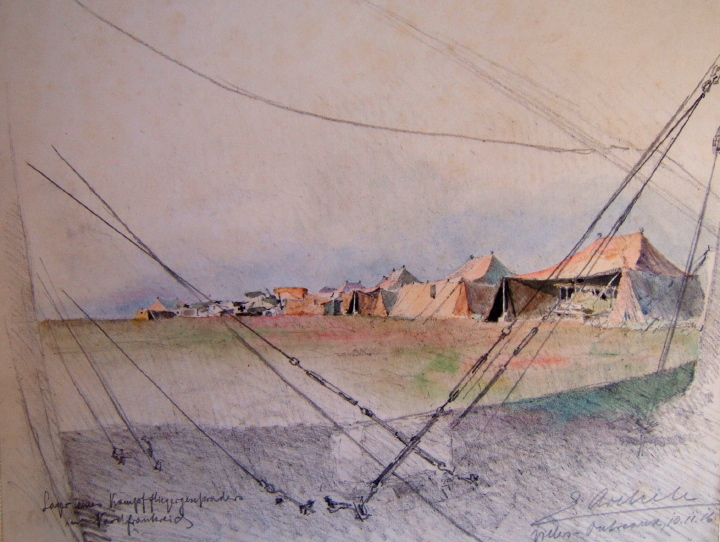 In June 1916, the troops moved to the north of France. 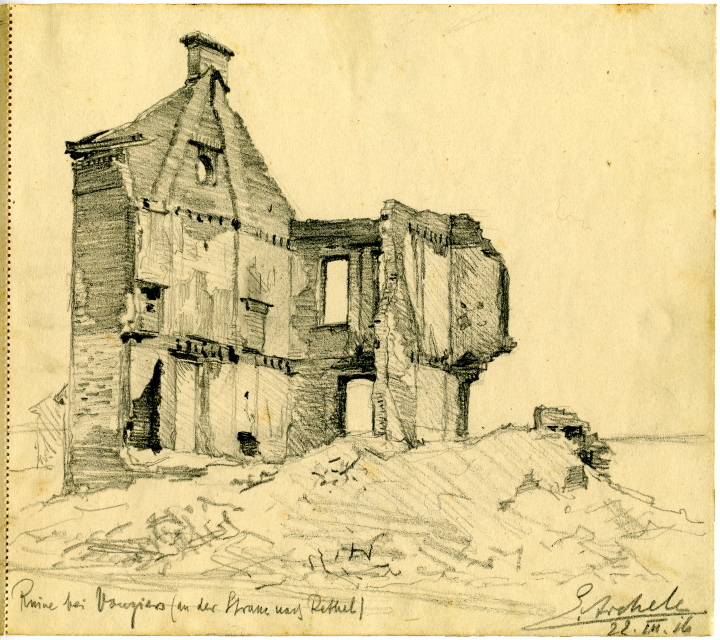 Erwin’s drawings depict places such as Achery, (near St Quintin), Doingt, Laon, Vraignes, Soissons. 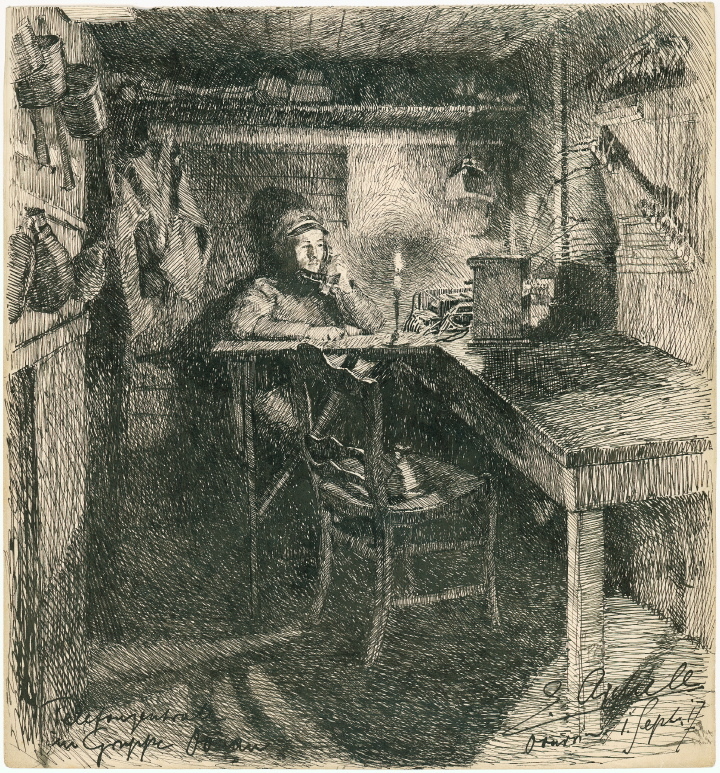 On each drawing he made a precise note of place, time and subject. 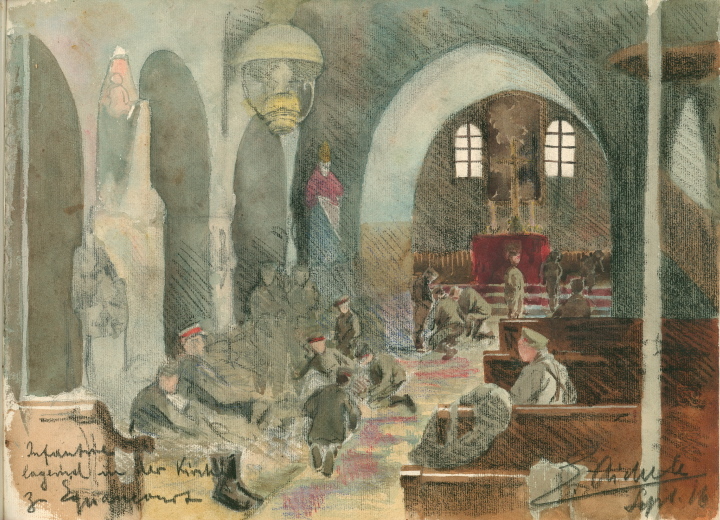 He used pencil, ink, charcoal and sometimes coloured pastels. 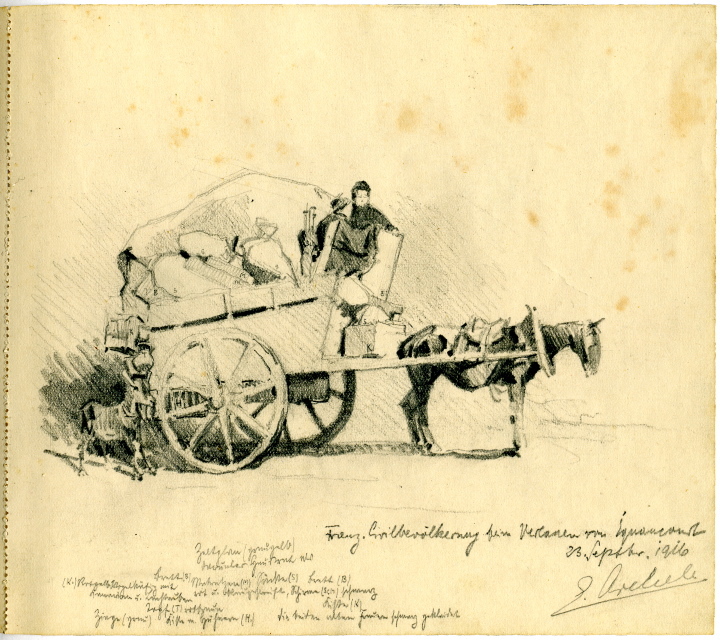 His drawings are executed with great skill in the tradition of the nineteenth century and they show great attention to detail. 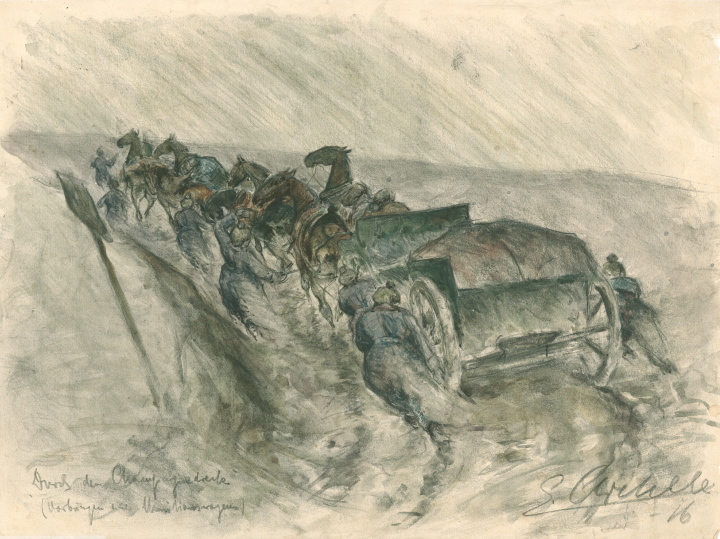 They depict daily life: convoys pulled by horses, shelters, soldiers’ dormitories, comrades, views of villages (which were often destroyed afterwards), ruins and landscapes. 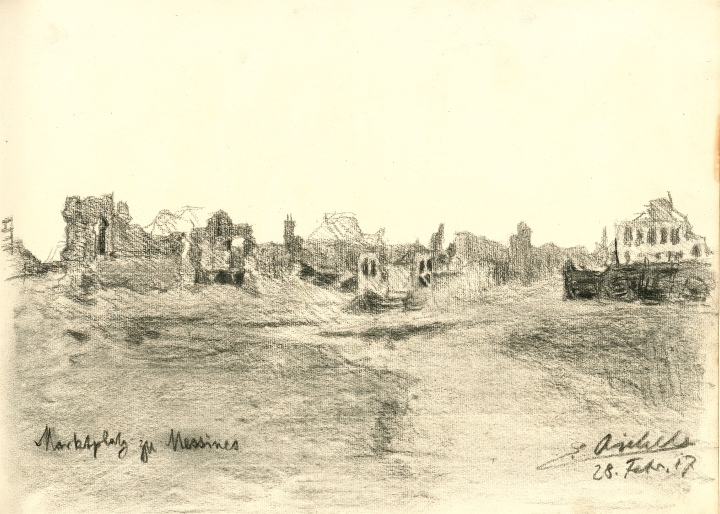 It is interesting to note that even though he witnessed all the horrors of war, none of this appears in his drawings. They are very dispassionate: they betray no feelings of hate, nationalism, horror or despair. He simply transmitted what he saw. 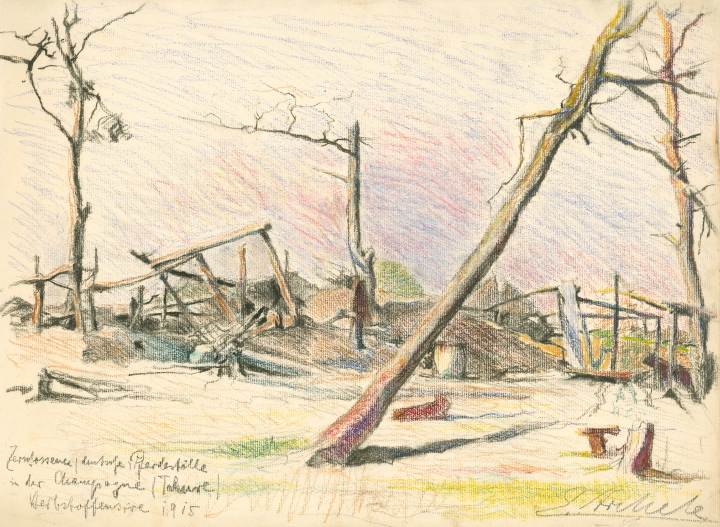 It is quite possible that he deliberately chose not to represent scenes whose subjects were so emotionally charged that they would have interfered with the objectivity he needed as an artist. 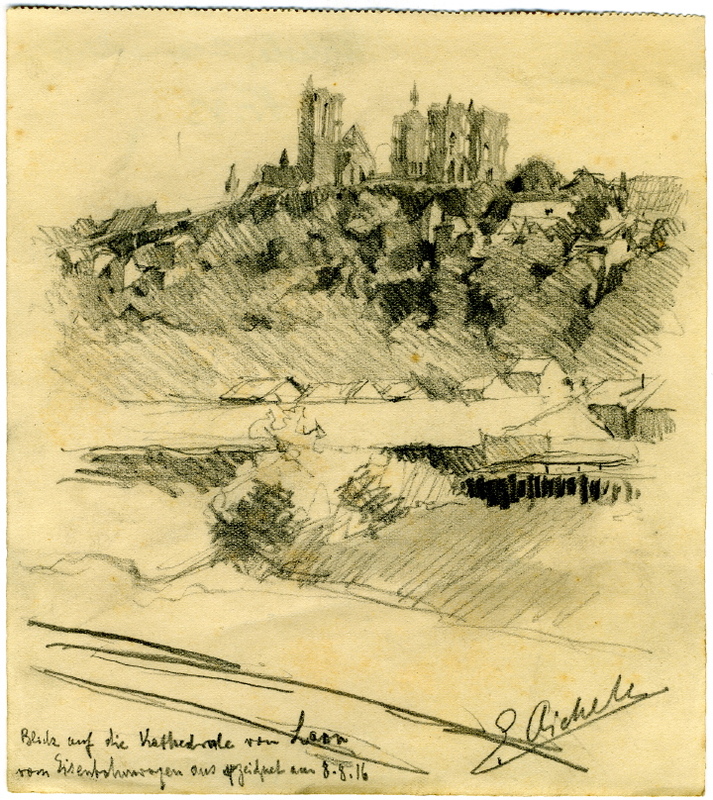 His last drawing in France is dated May 1918, shortly before a wound and nervous breakdown caused him to collapse into a coma. He woke up in Polzen in Pomerania. 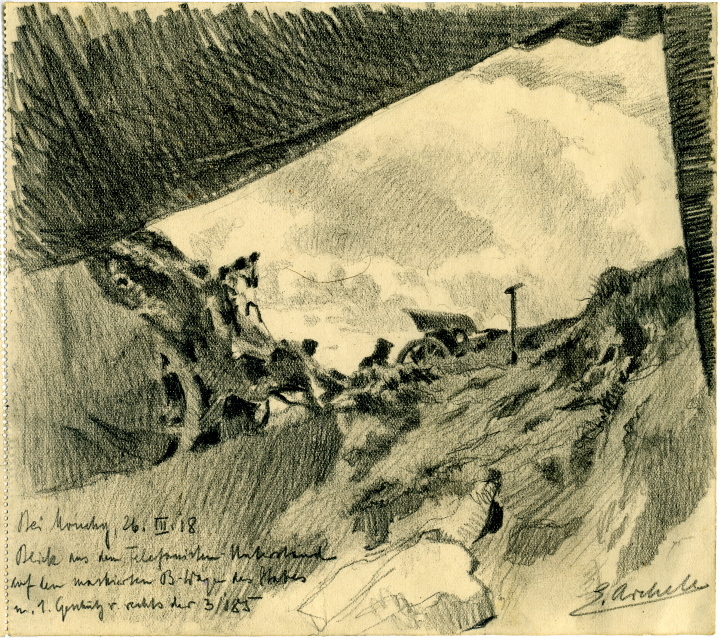 He started drawing again during his convalescence in a military hospital. He returned home on the signature of the armistice.